This isn't a very good picture, but I've stuck it in because the associated memory is so lovely. 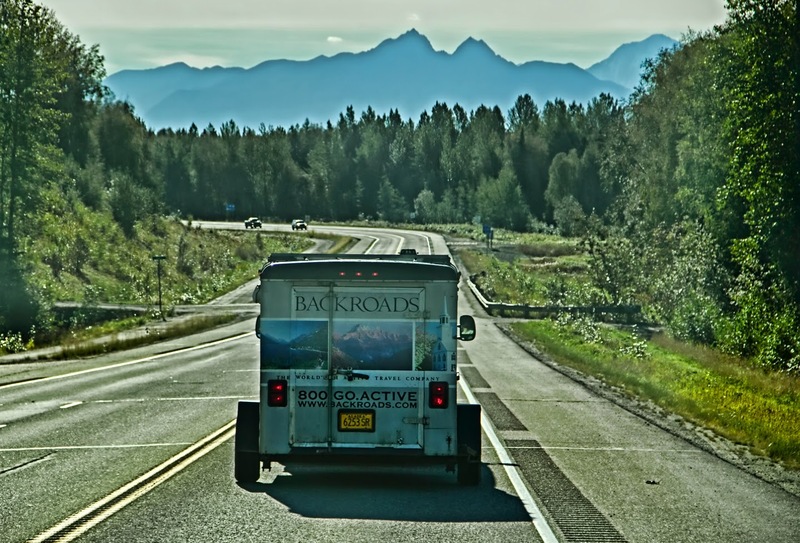 Our caravan set off after breakfast, heading to Anchorage and on southward to Girdwood. It was a beautiful day, I was feeling much better than I had been, and everyone in our van was singing along to Carole King.